***This contest is closed. ***The winners are: Mandy Haynes,Vicki Neulinger & Autum C. Congrats!!!! 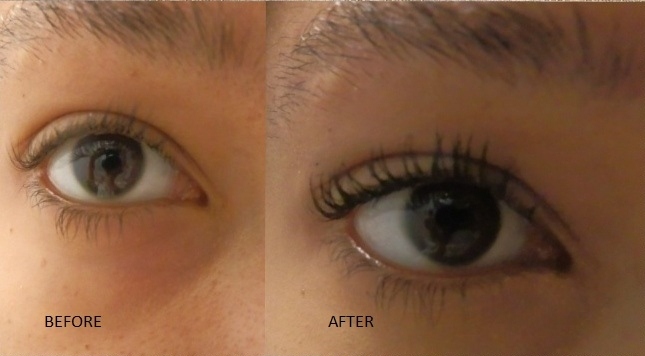 So, on Friday, I told you about the amazing results I got when I used bareMinerals Flawless Definition Volumizing Mascara. Now, with he help of planetbeauty.com, I am giving 3 lucky winners, yes, 3, the opportunity to win their very own tube for dramatic, luscious lashes. 1. “Like” Planet Beauty on Facebook (= 1 entry). 2. “Follow” Delialicious Picks on Twitter, then leave a comment here letting us know that you did (= 1 entry). 3. “Follow” Planet Beauty on Twitter, then leave a comment here letting us know that you did (= 1 entry). 4. “Follow” Planet Beauty on Instagram (@planet_beauty), then leave a comment here letting us know that you did (= 1 entry). Each comment counts as an entry. The winner will be chosen using random.org. For example if the number 4 is selected and your comment is the 4th one down, you will be the winner, so multiple comments increase your chance of winning. Good luck! Rules: This giveaway is open to residents of the US only. You must be 18+ to enter. One winner will be chosen using random.org on February 4, 2013. All entries must be received by February 3rd 11:59pm EST. *Please do not post the same comment 2x. Some comments end up in the que if there are a lot of links associated with it, and I will do my best to approve them in a timely manner. I like planet beauty on facebook as Susan Chester. I follow Planet Beauty on twitter as ptowngirl. I like Planet Beauty on Facebook. I like Planet Beauty on Facebook (FB name: Madeline Brubaker). I follow Delialicious Picks on Twitter (@shala_darkstone). I follow Planet Beauty on Twitter (@shala_darkstone). I like PB on FB!!! I followed Planet Beauty on Instagram! Like Planet Beauty on Facebook. Follow Planet Beauty on Twitter. I like Planet Beauty on fb! I Like Planet Beauty on Facebook! I like Planet Beauty on FB as kcthelush. Following Deliaicious Picks on Twitter as @kcthelushII. Following Planet Beauty on Twitter as @kcthelushII. I follow Delialicious Picks on Twitter. I follow Planet Beauty on Twitter. I follow Planet Beauty on Instagram. Liked Planet Beauty on FB – My fb name is Stephy O’Day. i follow planet beauty on facebook!